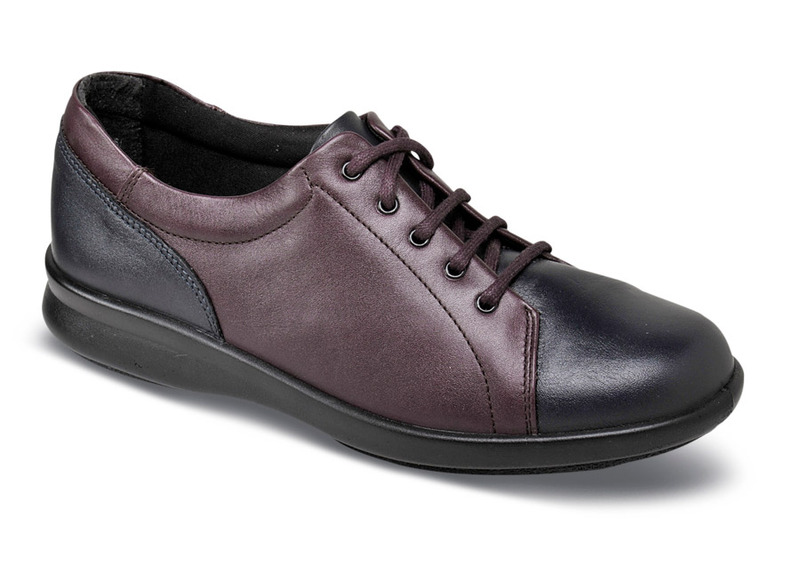 It's the two-tone uppers of plum and dark navy leather that catch your eye, but it's the comfort inside that will make you love easyB's "Phoebe" casual. Made of soft black leather with silky fabric linings, Phoebe has a lightweight air-bubble cushioned sole and a removable leather-topped insole that allows for insertion of orthotics. Five-eyelet lacing provides highly adjustable fit. Made in England in U.K. sizes equivalent to U.S. women's sizes 5, 6–9 and 10 in 2E; whole sizes 5 to 10 in 4E, 6E and 8E! Limited stock: available sizes as indicated in pulldown.